Taking the call to serve as part of a board is a big decision that requires much introspection and assessment of one’s long-term goals and future career path. Similarly, when you make the decision to resign from a board, it should be given a great deal of thought. As a board member however, you have legal responsibilities that could place you at risk if the organisation is functioning outside the bounds of law or facing financial challenges. 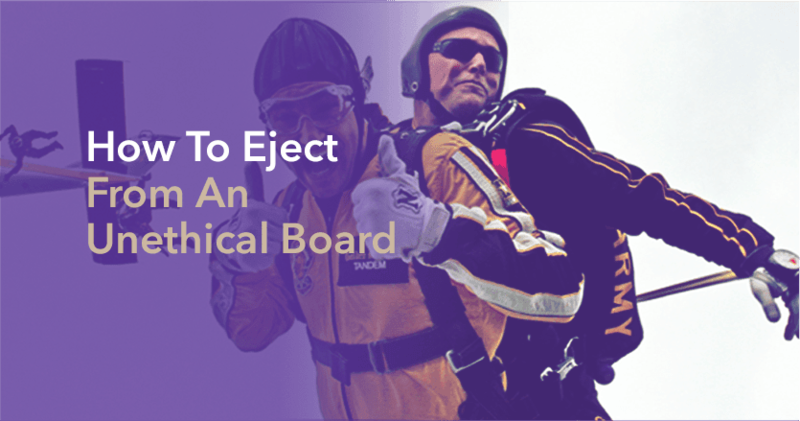 These become valid points for your self-induced ejection from the board. Typically, one comes across two reasons that influence their choice to resign from a board. Firstly, you may have doubts about your own abilities and their suitability to the board you are serving. The ‘imposter syndrome’ is not uncommon as a member of a board, especially one that comprises of many other distinguished and accomplished members. Secondly, you may be conflicted about serving the board on good faith due to unfavourable or unethical business practices. You need to start by paying attention to your specific objections on continuing to work alongside the rest of the board. Is it issues related to disagreements on the board, or the fact that your opinion is not being valued? In case you spot frequent deviations from the ethical code, that too is a big red flag and affects your decision to continue on in your role. If you are not confident about the way the organisation is making decisions, it is up to you to make up your mind and take a strong stand. Many board members choose to take advantage of their rank and abuse the rules of corporate governance. Ultimately, if attempts to bring up uncomfortable topics during discussion does not work, the breakdown in trust is going to become worse. It will be best if you express a desire to remove yourself from the board and get on with your career. After reviewing the way board discussions are taken forward, the first concrete step towards confirming your resignation would be bringing up the issues that are causing you trouble. You could choose to have a private conversation with the executive director or set up a meeting time with the entire board. Ideally, once you share your views, the board should be receptive to developing constructive solutions such that collaboration can happen. However, resignation might still be the most viable course of action judging by the circumstances. The organisation will have established procedures in place for a resignation process. For instance, there may be bylaws that include the requirement that the board needs to vote then approve an individual’s resignation from the board. The safest way to broach this sensitive issue is by sharing your plan of action with the board chair, then informing the rest of the board members. You may have to submit a written request of resignation at least two months in advance. Leaving on a positive note is the smartest way to maintain good relations, so make sure to thank the board and its members in the resignation letter. To conclude, it is vital that a board successfully meets its fiduciary duties and when a board member does not align with its functioning, there is increasing disruption and problems carrying out responsibilities that take a toll. Financial and legal risks may also occur due to negligence and unethical circumstances. An organisation’s Directors and Officers liability insurance policy does not provide coverage for situations that arise from these complications, and a simpler course is to submit a resignation.